List of Medical Colleges in Tamil Nadu, Top Best Medical Colleges Tamil Nadu, Courses. Tamil Nadu lies in the southern Portion of India. Since Kerala is the most literate state in the nation, even Tamil Nadu has some effects on the residents. People living in this particular state are aware of schools and colleges with better education and quality of education. Some parents have dream of making their children doctors. Many dreams have got fulfilled with the help of Medical colleges in Tamil Nadu. Eligibility criteria for getting enrolled in medical education in the state of Tamil Nadu are same as other states of India. Individuals have to pass out 10 +2 in science stream. The subjects that they need to take up are Mathematics, Physics, biology, chemistry. Also there must be good qualifying marks as well. An individual would be actually proud to be a doctor. As a matter of fact, medical colleges are recruiting good number of students for studying so that, future doctors can cure many indecent category of diseases. Medical colleges in Tamil Nadu are also having research lab, where repeated research is carried on to make improvement in drugs and treatment procedure for such diseases which are not yet curable. A doctor will not have to look back for getting proper career option. They can be recruited in government as well as private hospitals in the city or out of city. Medical colleges in Tamil Nadu has a good collaboration with the hospitals and research labs nationally and internationally. Career option is never squeezed as they can even get an opportunity to practice independently. A dispensary can be opened up where good number of patients will be welcome. 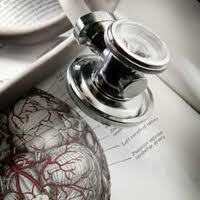 A surgeon or MD in any specialization can also make wonderful liquid money in the medical profession being a doctor.